Rashid is still only playing with gimmicks and not addressing the root cause of the problem. 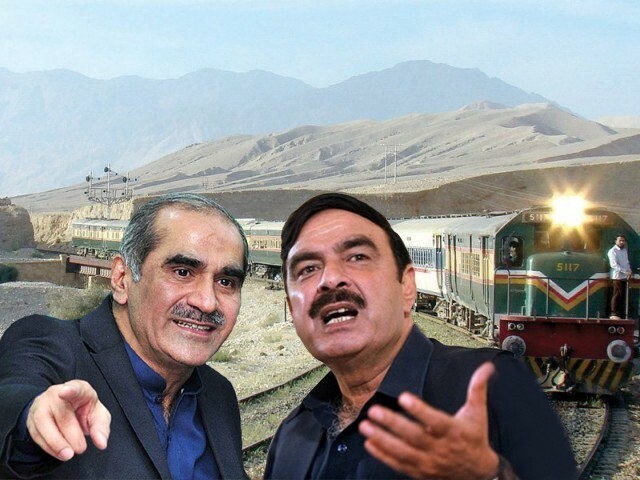 Ever since Sheikh Rashid has been given charge of the Ministry of Railways, he has been busy making a hue and cry about the railways department being ruined by the corruption during the Pakistan Muslim League-Nawaz (PML-N)’s tenure. In every single press conference, Rashid levels allegations of mass corruption on members of the PML-N, particularly former railways minister Khawaja Saad Rafique. However, on Wednesday, December 27th an audit report by AF Ferguson was presented in the Supreme Court (SC) by Rafique’s lawyers, which stated that no corruption or irregularities were found in the railways department during the five-year tenure of Rafique. The apex court in April had asked the chartered accountancy firm AF Ferguson to carry out the forensic audit of Pakistan Railways in order to find out why it was bearing losses and whether there been any corruption or irregularities that were causing these losses. The report submitted in court gave a clean chit to Rafique and the apex court was informed that Pakistan Railways had been incurring losses since the past 60 years. It is pertinent to note that Rafique not only managed to bring the deficit down, but also paid most of the employee pensions from the railways account rather than asking the federal government to bail the ministry out again. This actually shows that Rafique tirelessly worked for the betterment of railways and Rashid, as usual, has been lying to the nation and his supporters about this. Rashid himself had been the railways minister during General (retd) Pervez Musharraf’s era, and he proved himself to be an incompetent leader who did not possess the knowledge to run the affairs of the railways department. During his tenure, his sole focus was on appointing people from his constituency in the Railways department so he could win the next General Elections by gaining their sympathies. After Rashid, Ghulam Ahmad Bilour of the Awami National Party (ANP) was given the charge of railways minister, and we all know how that turned out. It was at that time when railways almost became inactive and was nearing closure. Rafique should be given credit for successfully reviving the railways department and for the innovation and better service he brought in through structural reforms. He also managed to buy new locomotives from China, and the trains, like the night coach from Rawalpindi to Lahore, at one stage outclassed big transport companies in terms of service and punctuality. On the other hand, since Rashid has assumed office under the Pakistan Tehreek-e-Insaf (PTI) government, the railways ministry is once again becoming a white elephant, with the standards of services seemingly falling again. Rashid keeps busy every day lying about how he is launching new trains and is working day and night to make railways a profitable institution; however, in reality he is simply renaming trains that are already functional. Moreover, to appease the prime minister and grab the media’s attention, he is making trains run on tracks declared dangerous for travel, tracks that also need repairing. The Khushal Khan Express is an example in this regard. During Rashid’s previous stint as the railways minister in 2006-07, the railways losses soared from Rs1.12 billion to Rs14 billion. This means it incurred the loss of almost Rs13 billion in a year during his stint as a minister, and yet he shamelessly accuses Rafique of destroying and corrupting the ministry. Rashid is only playing with gimmicks and not addressing the root cause of the problem. His sole attention is towards seeking revenge from PML-N by levelling baseless allegations. The way he treats employees is not hidden from anyone; a senior officer even refused to work under Rashid citing that he holds no respect for the people working under him. Rashid’s baseless accusation of corruption in the purchase of locomotives from China has also not been liked by the Chinese authorities, and that is the reason we are not seeing any considerable investment in railways from China. Perhaps this is why Rashid is requesting South Korea to come and invest in Pakistan Railways. He neither realises nor has the capability to understand that levelling accusations of corruption at Rafique without any proof, especially when it involves his business with China, is always going to give birth to negative sentiments in the Chinese private and public companies. China’s reluctance in committing to the investment in Pakistan is a testimony in this regard that Rashid and his other accomplices from PTI do not understand the dynamics of international relations, nor are they aware of the fact that foreign investors do not like sloganeering. They need guarantees of viable projects and sanity amongst the ranks of high government officials. Rashid is very good at abusing and bashing his political opponents, but when it comes to the business of running the institutions through ministries, his track record is very poor. A man who is inept at understanding modern technology and the globalised, technological world cannot run ministries like railways. It would have been better had he been doing the same job as Fayyazul Hasan Chohan, which actually matches his calibre and skills. If smoking cigars and proudly using below-the-belt language against political opponents were of any use, Rashid would have started a revolution in his assigned ministry, but unfortunately this is not the case. 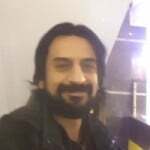 His inability to understand the dynamics of entrepreneurship and management and his habit of not reading things in detail will only damage the department of Pakistan Railways which, after decades of poor performance and services, had gradually started giving some good services to the passengers during Rafique’s tenure. The habit of compulsive lying and degrading the staff working under him will only worsen the situation in railways, and we have already started seeing the effects in the form of poor performance of railways in the past few months. Trains are allegedly still not arriving and departing on schedule, while there are also complaints that toilets and stations are unclean and the food served during the journey is unhygienic. At least we witnessed some punctuality, cleaner floors and toilets and hygienic food under Rafique. To match his predecessor’s performance, Rashid needs to do actual work; lofty claims and accusations will only land Pakistan Railways in more trouble.